Kevin P. Pickell, Brian R. Niessen, and Kris Hatlelid. asked follow-up questions, or questions to certain individuals (i.e "To ______"
computing history. - Kevin M.
beta tested the C64 (Mine first one was in a VIC-20 case). We had PET computers in the schools, so it was kind of brand recognition. Additionally, I had a Vic-20. development systems or special hardware used? an editor, assembler, sprite editor, etc. Sysres, TSDS, later an amiga cross assembler system. What made you get involved with disk drive stuff (disk utilities, etc)? the months of work, I had to learn how to rebuild the directory track by hand. was instrumental in that, and with me being a programmer in general. slow I was very interested in speeding access up. and we disassembled the entire 1541 ROM set and determined how it all worked. Rom disassembly mostly. Started with the 4040 drive, and moved into the 1541.
understand a lot about how the drive worked. and Kevin a little while later. on a half dozen or so games. Access has that nice piracy message screen that came up on a copy). actually. I should go buy it. guess a few for Access but I don't remember. I don't recall. Don't have any code anymore. Mostly it was no sync variations and track alignment variations. code was integral to the startup process. As for stopping prying eyes, the one thing I did was to use the 6526 timer chip. every cycle) and exclusive or'ed them with the code directly following my loop. In "Beach Head 2" the piracy screen mentions "Kevin P. Pickell" and "Brian R.
Niessen". What was your role in PB Inc? tracks, etc). We would use Pet 4040 drives to do the duplication usually. I came on later, and eventually took over doing the EA protection. Yeah, had quite a few. Don't remember much about them now though. I do remember putting in messages but I don't recall what they were. protection buy before cracked copies started circulating? I don't know, it was probably one a month or so before most games were cracked. slow 1541 speeds). Was this the view of other companies as well? No idea - but as part of PirateBusters, we included a high-speed loader. got into the game industry, which turned out to be a pretty decent career. why we switched to writing games. 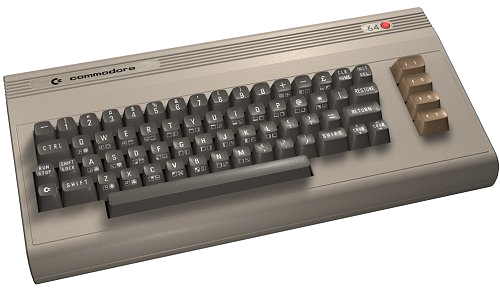 Any memorable or funny stories from the C64 days? emulator on my Sony-Ericsson P910 phone, so I can relive it anytime, any place. Comment - Hmmm, IT'S ALL TRUE!!! If you could do it all over again, what about the c64 days would you change? Not much - it was a great time. more on the business and contacts side of things. directions, doing coding for Amiga. difficult for crackers? (Checksums, self modifying code etc). two step process to prepare, and that made it difficult for developers using it. couldn't actually read and restore. The ones I protected did as I recall. the text that's scrolled: (does it bring back any memories?). somebody (a friend?) who bought a copy of the program and they try to copy it. Kevin P. Pickell and Brian R. Niessen, Piratebusters Inc.
Nine out of ten pirates go blind trying to copy our software. The other one gets committed!!! haha, Now I remember - hilarious. That was in response to [Access] saying out "Graphic Cartoon" was too "graphic"
Mike J Henry was the hacker we killed in the Cartoon. "one-up" the other in terms of ideas or implementation). Coke (cola) and Rootbeer and 3AM walks to 7-11. Thanks again for the interview guys!